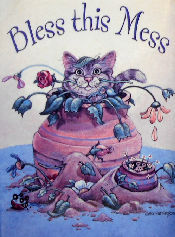 Here is one of Gary Patterson's cat designs on a magnet. The magnet is 2" wide x 3" high. Previously owned but in good condition.